It's obvious that proper prototypes are crucial in game playtesting. The same game can provide players different experiences depending on how the prototype is made. That's why I'm always trying to make the best prototypes from the very beginning. 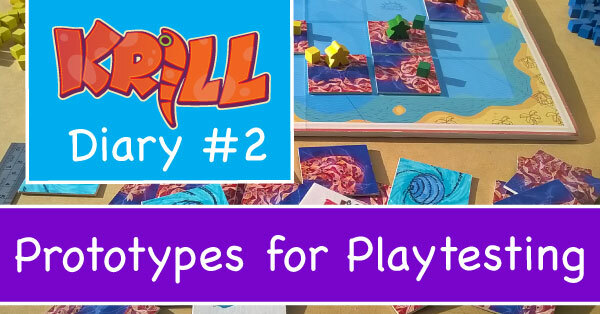 Today I'll write about Krill prototypes which I made for playtesting and blind playtesting, and below you can find a short tutorial how to create a prototype like mine. 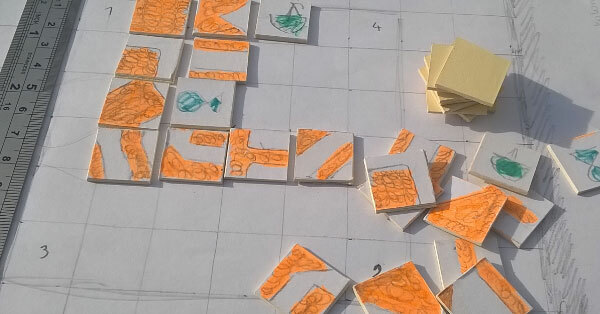 I know that every designer has their own favourite method of making prototypes for their games that suit their needs; however, I'm sure that you'll find this article useful. Please note that these prototypes are not for reviewers. 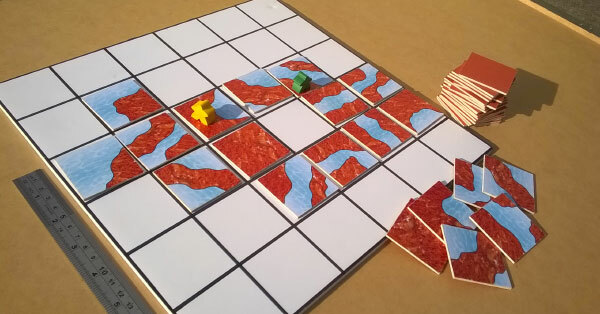 The version of the game for reviewers is going to be printed by my manufacturer to ensure that the prototype is exactly the same or as close as possible to the final product. In another entry, I'll explain why that's so important and how you can achieve that. And I'll add some pictures of that prototype. Now here's how I made Krill prototypes and how they evolved! Before I invest a significant amount of time in creating a solid prototype, I want to ensure that the game is worth it. Not from every idea you can make a good game. I created this prototype to play it myself only or eventually with my wife and kids. The game at the beginning was unbalanced, and a lot of rules sucked, but it was enough for me to know if the game has potential or not. I would say that's typical for any game at this point. As you can see, the very first prototype is very simple and small. After playing the game few times, I need a better prototype. I made sure that new Krill prototype looks good. It was time-consuming to finish it because all tiles were hand drew by my children and me. I didn't print them. But this kind of prototype is very convenient for one reason: you can make changes very quickly. I had many empty tiles, so if I needed, I could add new tiles in seconds. I used this prototype to give it to my friends to playtest. I needed more prototypes because I was giving them to school to playtest. I had to make about ten prototypes, so I didn't want to draw them all. 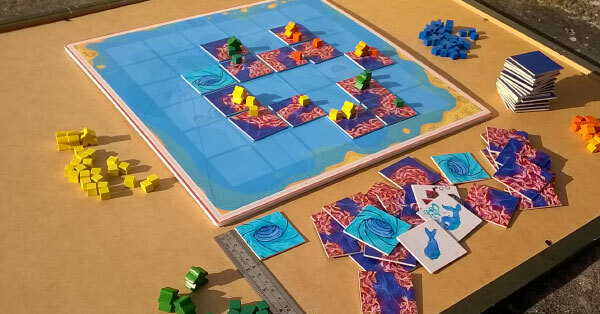 Another reason for a new prototype was that I wanted it to reflect more the theme of the game - krill swarms in water. Children are very imaginative, and definitely lack of any art would push them off. At this point, I didn't have the artwork done, so I had to create it myself. The blind playtest prototype is the most important one. It gives a designer a chance to test different aspects of the game. Krill blind playtest prototype has all the final artwork, and the rulebook finished. In this photo, special tiles are missing because they weren't finished when I was printing this prototype, but they are ready now. I didn't add miniatures; I'll add them to the prototypes for reviewers. The general idea is to make sure that the prototype reflects the final version as much as possible for a home-made prototype. - The materials and usability. Of course, materials used are different from the final product, but I still can receive feedback about the size of the tiles, etc. 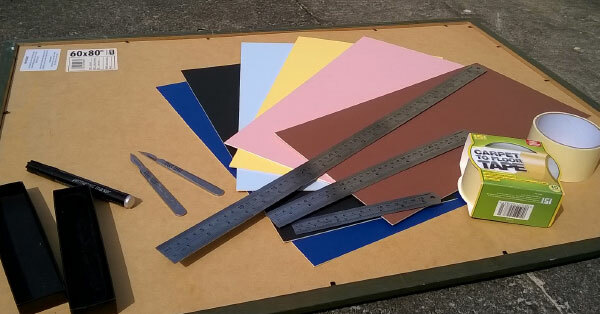 First I created a simple template to put all tiles together on A3 size file. Then I did print all the tiles on nice A3 glossy 100 gm paper and stuck it to the mount board with double sided carpet tape. After that, I used the ruler and surgical scalpel to cut the tiles. Very simple. I printed the game board on two A3 glossy 100 gm paper sheets. The game board is too big to fit the A3 format, that's why I had to use two paper sheets. Then I stuck it to the white foam board again with double sided carpet tape. I cut the edges with a scalpel and a ruler. 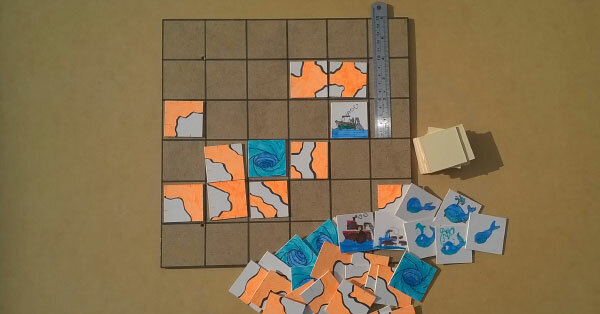 For more detailed photos go to Krill Board Game Playtest Prototypes gallery! Do you have any helpful tips on board game prototype making?